Providing them with advice, support, and publications. They provide church support through regional consultations and networking, support for the church leadership and training opportunities. They publish a Partnership Magazine 3 times a year, produce regular relevant articles and a monthly newsletter. There are regional events regularly across the UK and a national conference every two years. DCF are part of the team for Partnership South West. Mark & Jo currently serve on the committee that meets every 3-4 months. The aim is to encourage a regional network for church leaders by providing support, prayer and encouragement. 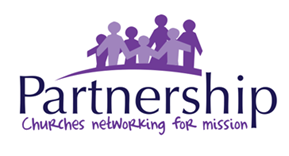 The team also host a quarterly church leader’s network lunch, an interactive Cluster event in Exeter for all folk in leading a ministry within their church and a larger annual event with refreshment and a guest speaker on very relevant issues for every church.